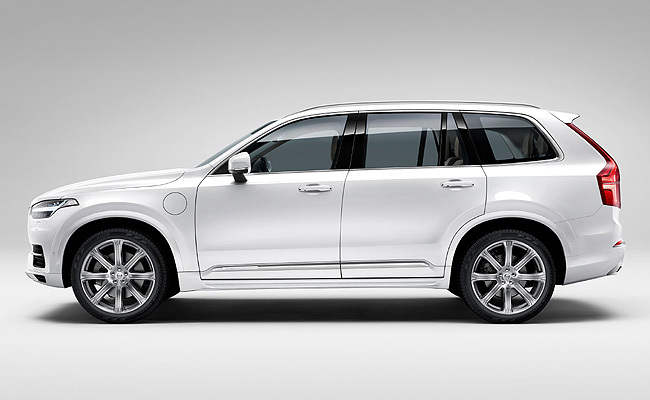 Volvo has been teasing everyone with its all-new XC90 for months. 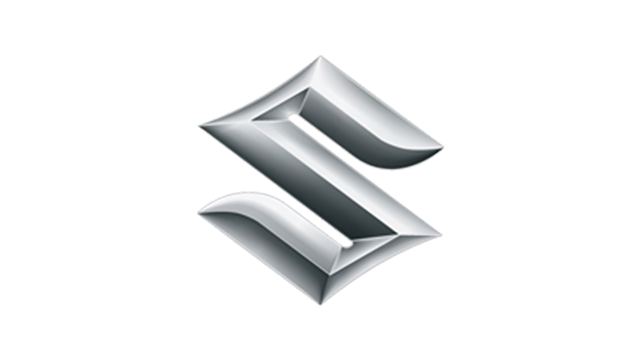 All the teasing has finally come to an end now that the Swedish carmaker has revealed the second generation of the seven-seater SUV. 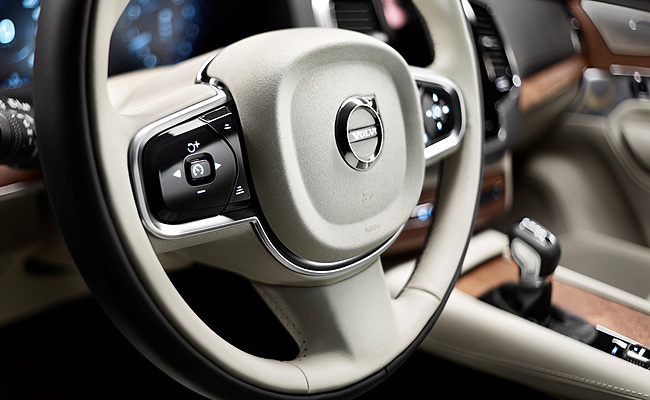 The first model to utilize Volvo's Scalable Product Architecture technology, the all-new XC90 boasts "world-leading safety features, new powertrain technologies, an unrivaled combination of power and fuel efficiency, and a superlative interior finish." 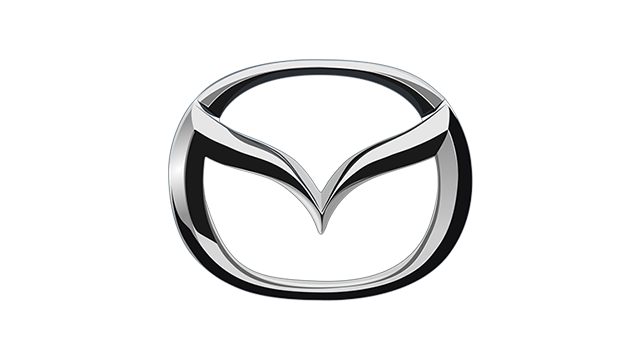 The brand's iron mark is more prominently displayed in front of the all-new SUV, with the iconic arrow aligned with the diagonal slash across the grille. 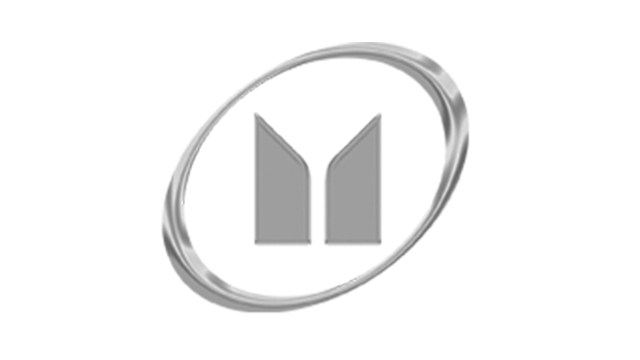 The T-shaped daytime running lights, meanwhile, mark Volvo's new and distinctive face for its upcoming generation of cars. 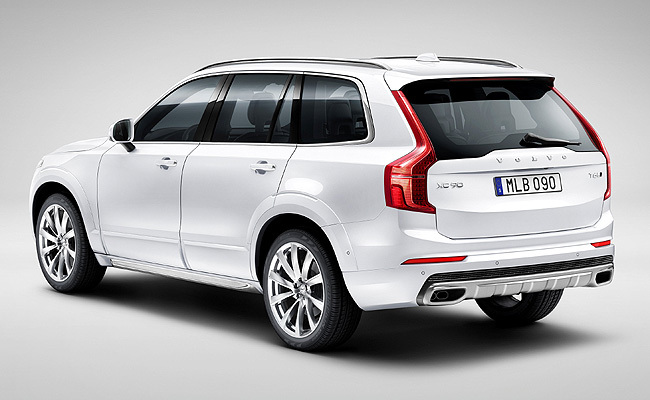 Another design signature seen in the all-new XC90 that will be mirrored across the range is the pair of new taillights. 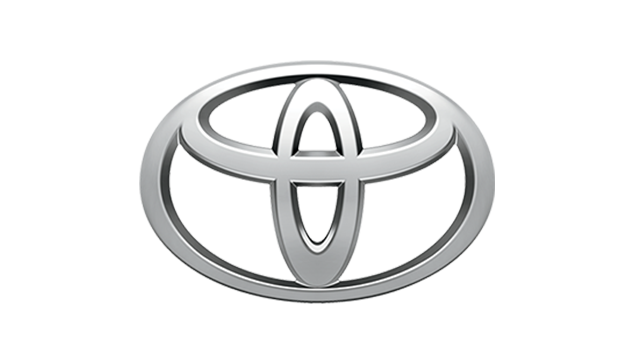 Enhancing the vehicle's robustness from the side is its range of wheels with sizes up to 22 inches. 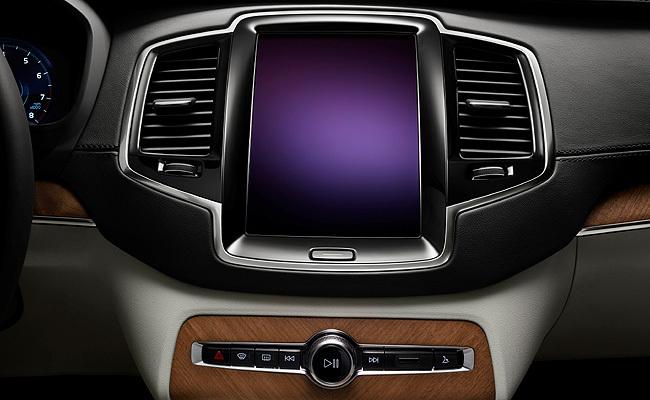 Inside, the most striking feature of the all-new XC90 is its tablet-like touchscreen control console, which is the heart of an all-new in-car control system, creating an interior that is "modern, spacious and uncluttered." 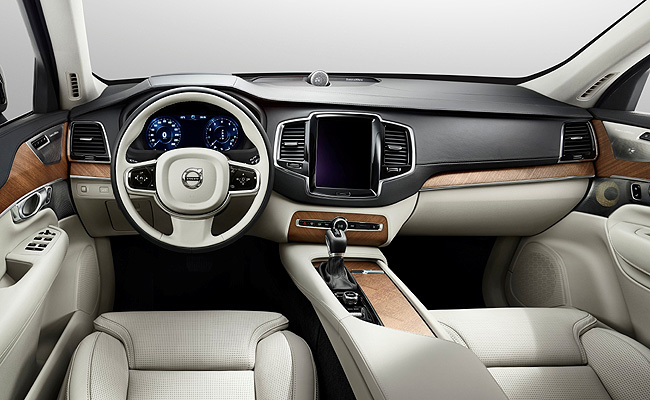 Other luxurious accoutrements that can be found in the vehicle are soft-touch leather and handcrafted wood, as well as a gear lever that's made of crystal glass by famed Swedish glassmaker Orrefors. 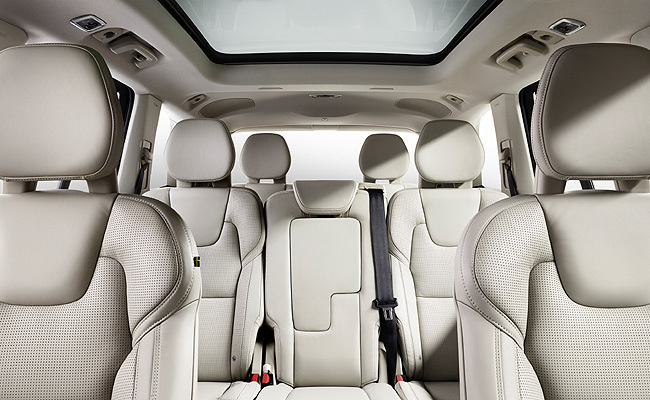 The all-new XC90 also boasts one of the best audio systems in the automotive industry, with its Bowers & Wilkins system with a 1,400W amplifier and 19 speakers, including one of the first air-ventilated subwoofers in a car. 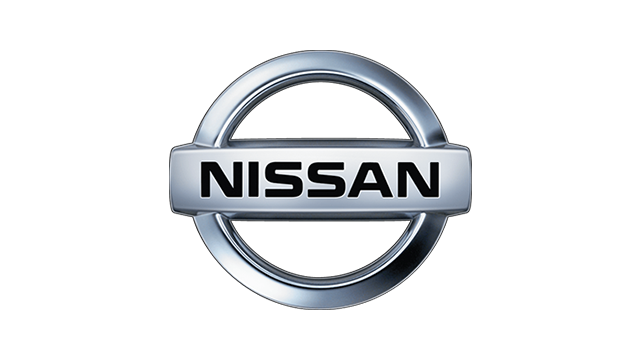 Integrated into the car body, it supposedly turns the vehicle's interior space into a giant subwoofer. 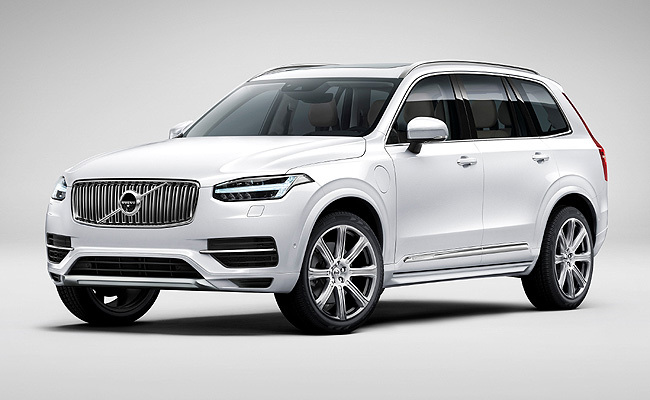 Safety, of course, is always a priority for Volvo, and for the XC90, it now features "the most comprehensive and technologically sophisticated standard safety package available in the automotive industry." 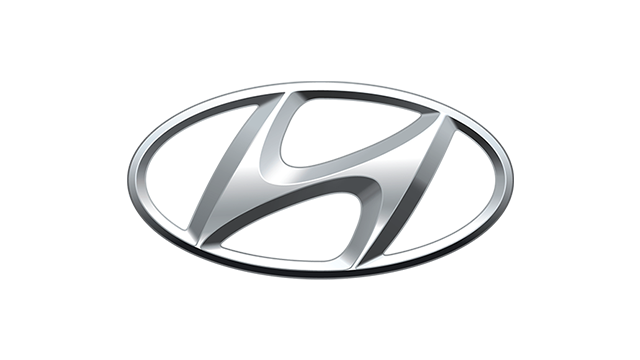 This includes two world-first systems: a run-off road protection package that detects what's happening to the vehicle and automatically tightens the front safety belts to keep the occupants in position; and an auto brake capability at intersections, which automatically brakes the car if the driver turns in front of an oncoming car. These new features are added to Volvo's City Safety program, which is now the umbrella name for the carmaker's auto brake functions. 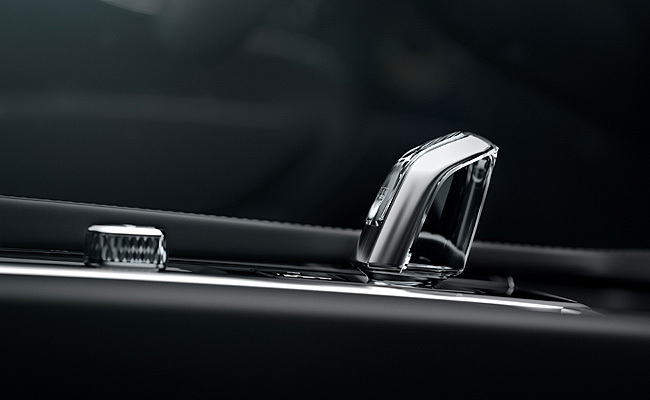 These are standard equipment in the all-new XC90. 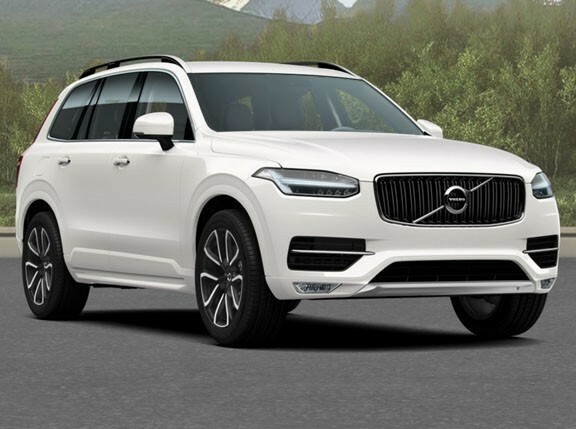 Powering the XC90 are a range of 2.0-liter, four-cylinder Drive-E powertrains, "all of which provide an outstanding combination of performance and fuel efficiency." 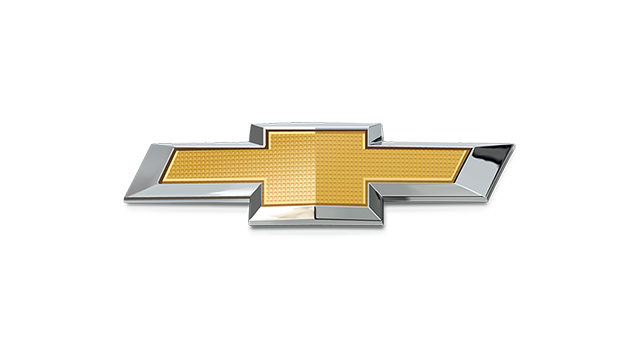 Leading the engine lineup is the XC90 Twin Engine, which is a gasoline-fed supercharged and turbocharged mill that's paired with an electric motor. 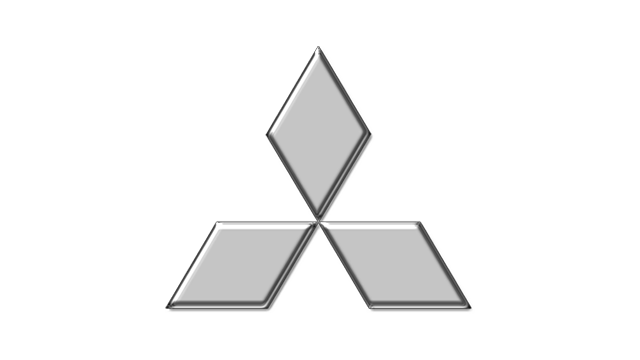 Combined, this gives the vehicle approximately 400hp with carbon-dioxide emissions at only 60g/km. "This is one of the most important days in our history," said Volvo president and chief executive Hakan Samuelsson. 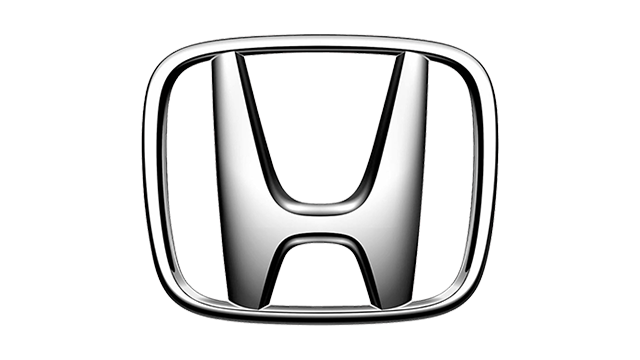 "We are not just launching a car, but relaunching our brand. 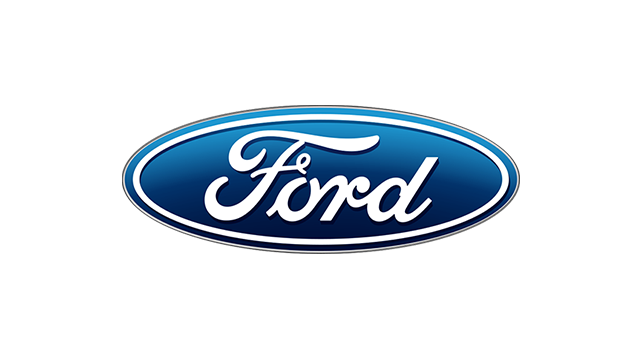 This day marks a new era for our company. 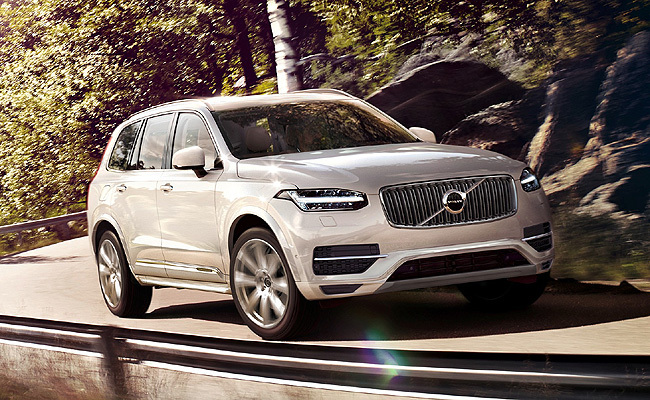 The XC90 paves the way for a portfolio of exciting new cars to come in the following years."